Memorial Gardens have become a popular and wonderful way to remember loved ones, but have you ever wondered what each flower, tree, or herb means? During the nineteenth century there was a tremendous interest in the meaning of plants and their connection to the languages of emotion, love, and memorializing. These classical and romantic meanings are still attached to plants and still serve as a wonderful way to remember loved ones. For centuries the bereaved have turned to gardens as a place to reflect and remember. Gardens have served as a place of great beauty, a place in which to gather your inner strength and a place to vent your emotions or frustrations. The possibility is there for you to create your own garden using flowers, herbs and trees. Remember, your garden should not be based on size, but rather on content. You do not want a garden that is too big for you to handle, too time consuming, or not your style. Always start small; you can expand your garden in the coming years. If planting a traditional garden is not of interest to you consider planting a window box or a deck pot. It's important to remember that gardens come in all kinds of types and shapes. Some are water gardens, with lovely blooming water plants and fountains, other are planted in the ground and are always nice and tidy. Of course there is the old fashioned garden that is arranged in a soft flowing, charming manner with turning paths and secret resting spots. Some gardens contain purchased plants, while others have flowers, trees, shrubs and herbs that have been given by cherished family members or friends. For example, yellow lilies from your mother's garden, peonies from your grandmother, daisies from your best friend, hostaâ€™s from the family next door and new white iris in memory of a loved one. Finishing touches are never ending in gardens. Perhaps you add a fountain and line it with rock from your grandfather's field, or you add that special statue or trellis in memory of someone dear. But what if the gardening end of it is just not for you? Remember, flowers can be purchased. 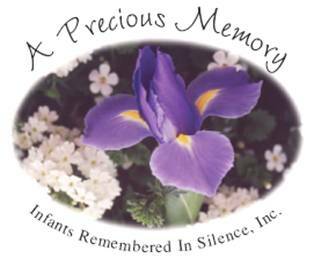 You can create a beautiful little nosegay or huge bouquet for your home, office, a friend, or your loved one's grave. The fragrance and beauty of fresh, silk, or dried flower and herbs can settle the soul and warm a heart. Whatever style, try to choose flowers, trees, and herbs that hold special meaning, come from someone special, or have traditionally carried a precious message. George Elliot once said "Surely these flowers keep happy watch; their breath is their fond memory of the loving light." One bud blooms, a new life begun. Can you see the new life our heats wait upon? They flow as we ponder the dance through our minds. To go on and completely let go. To a place we can't see, nor can we enter in. And brings promises of peace to our unhappiness. but it begins and starts all over again. A life and its dreams; live on, my friend. in a meadow of despair. Coral ~ Desire and enthusiasm. Red ~ I love you, respect, courage, passion and divine love. Snapdragon ~ Deception, Gracious lady, Strength, Presumption, No! Vesicaria ~ Will you dance with me? Shedding its sweetness day and night. And unfolded itself on the other side. Breathing its fragrance more and more. Just as it will forevermore. Water freely with patience and cultivate with love. because you reap what you sow! It will soothe your soul"
There are a number of methods of preserving flowers and foliage. They include hanging them upside down to dry, burying them in sand borax, or using Flower-Dri and soaking them in glycerin. The last method is especially used to preserve foliage. Standing flowers upside down in boxes, crocks, or pans and pouring or sprinkling borax over them is a time-tested process, but many flowers dry by the simply hanging upside-down method. This is the easiest and also gives excellent results. Materials keep their shape and flowers do not fall apart. However, some flowers, pansies and zinnias, for example, will not dry by this method but must be treated with sand or borax. When gathering flowers to preserve, work on a warm, sunshiny day, as plants should be gathered dry. Hydrangeas are an exception. They should be cut in the cool weather of September or October. Some flowers especially yarrow and ageratum, hold color better if placed with stems in water for a day or two before drying. Preparing a proper work place is helpful. Your work area must be dry, warm, dark and well-ventilated. An attic or closet might be more desirable than a damp basement. Avoid direct sunlight, as this tends to fade the dried flowers and moisture is your enemy during the drying period and after arrangements have been made. Remove all leaves immediately after cutting. Any leaf left on will contribute their moisture to the stalk and prolong the drying period. They will eventually wither and must be removed before the flowers can be used. It is important to wait until the flower is in full bloom before picking. Flowers such as Acroclinium, Strawflower and Xeranthemum should never show open pollen centers, as these tend to shatter after drying. Many people prefer to use nylons / pantyhose or rubber bands because as the stems shrink in the drying process, they will hold the stems together. Other materials may need re-tying. Hang bunches upside-down but spaced far enough apart to allow free circulation of air. The upside-down position will encourage the semi-woody stems to dry straight and prevent the flower heads from drooping. Depending on the space available, you may hang your bunches from nails driven in rafters in the attic, wall of a closet or on coat hangers suspended from crossbars. The temperature should never exceed 110 F, otherwise the flowers will bake. Grasses and lightweight materials dry in 1 week. The majority of material you dry will be ready in 1-2 weeks. Heavier material dries in 2 or more weeks. After drying, the material may be left there until needed. If there is a chance it could become dirty, store it in boxes (suit boxes) protected from light and moisture. Boxes will need tight fitting lids and each box should have a label identifying the contents. Some people prefer using Saran Wrap instead of a lid, for visual identification. If you live in a humid region, place dehumidifying crystals such as Dri-Rox, in the box to absorb moisture. Stems and foliage will develop a slight natural curve when placed in baskets, urns or other containers. A heavy pitcher will insure a nice curve if the flower stem is allowed to droop over the spout. The is also true for wide-mouthed vases. Large, rough materials will require a container with sufficient height and weight to keep from overturning. All containers, no matter what shape or size, should be placed in a dry, warm, dark, well-ventilated area. There are not too many types of flowers that appreciate being dried in this upright position, but perhaps you would like to experiment with a few of your own choosing. Grasses work well. Dried flowers and stems become stiff and brittle, therefore, it is wise to wire a few flower stems to insure a few curved stems or additional support for those you wish to remain straight. For the average flowers that are dried, use a #18 gauge florist wire. This may be inserted through the stem right after picking. For those flowers you choose to make a stem, such as Strawflower, Globe Amaranth, carefully remove the stems (natural stems) and insert the wire from underneath. Do not push the wire completely through the flower head, unless you plan to create a spike of flowers. A spike would contain 6-8 or more flowers of graduated size, preferably of one color. It is important that the wires be inserted the same day you pick the flowers, since the flower-heads shrink and adhere to the wire. Large crested Celosia with short stems may have additional stem length created by punching a hole through the stubby stems or through the lower portion of the flower head. If the flower head is exceptionally broad, you may need to make two holes an inch or so apart to provide for two supporting wires. Stem wired material may be placed upright in a wide-mouthed jar or poked into a sheet of Styrofoam. Most flowers will dry in 1-2 weeks. Heavy flowers such as Celosia may take 3 or more weeks. As with other dried flowers, keep the material in a warm, dark, dry, well-ventilated area. After the drying period has been completed, depending on arrangement use. Put finished product in boxes to keep them clean. For this method, unless you have beach sand which is very fine and needs sifting only if trashy, first sift, wash, and dry the sand. In many localities you can obtain sand already prepared or you can sift it yourself through a screen and then put it in the oven for a few minutes, stirring occasionally until it is thoroughly dry. Never use damp sand or flowers will be spotty and show signs of spoilage. Next pour sand to an approximate four-inch depth into a box or pan. If a box is used, first arrange several thicknesses of paper in the bottom to give it strength. Stand the flowers, which should be dry and stripped of all foliage, upside down on the sand in the bottom of the box. Try to place the flower heads so that they do not over lap or even touch. After large heads are covered, you can fill in between them with small heads. Pour more sand gently in to the box until the flower heads are covered. Label the box with the name of the flower and the date of drying. Store in a dark cool closet for two weeks. When the time is up, pour off the sand and gently wipe the flowers free of it with facial tissue or a soft brush. They are then ready to be arranged. Borax may be used in almost the same way as sand and is a good medium for preserving materials when space is limited. If the borax is lumpy, it should be sifted before use. With it, flowers are laced lengthwise or upside-down in the box or pan and sprinkled in the same way as for sand. Use Flower-Dri according to directions. 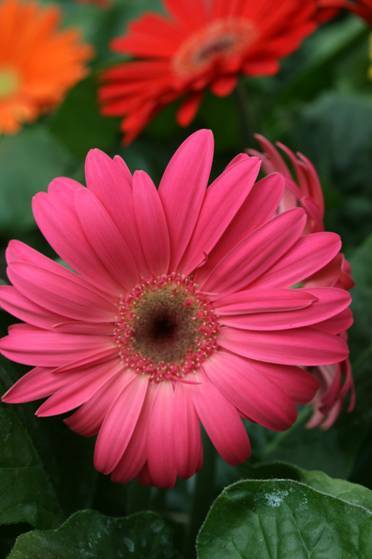 When selecting the borax method for flowers, consider their forms. It is best to stand circular ones, like the dahlia, and deep-cut flowers such as narcissus and lily, upside-down in the borax, gently working the powder around the trumpets and petals. Notice the position of the petals, smooth them out if necessary and then completely cover the flower. It is not necessary to cover the stem. Borax does cling to such flowers as snapdragons and gloxinia's. If it remains after brushing, hold snapdragons under running water for a fleeting second; or clean them with a slightly dampened brush. On gloxinia's only the brush is safe. Afterward hang them both upside-down for a few minutes. When you remove plants from borax, work as gently as possible. Place your hand underneath flower heads and do not be too dismayed if some things come apart as you lift them. Tulips often do, but you can wrap thread around the petals and so tie them back on the stem. Some things require longer in borax than others. Daisies and jonquils, which are light in texture, require about a day and half they cannot remain in borax for long periods after they are dried because they "burn" and brown spots appear. Some flowers require sixty hours. Occasionally remove one flower head to see how it is drying. Lilies, because of their weight, must have three to five weeks. Colorful autumn leaves such as dogwood, hickory, sweet gum, and maple may also be preserved by this method. Cut long sprays of euonymus which have variegated colors of pink, purple, yellow and white. Place them lengthwise in the borax. They will keep their colors and require only three days to dry. The same borax may be used over and over.